I was very sorry to hear that Lauren Bacall had died last month, at the age of 89. She would have celebrated her 90th birthday today. The news of her passing came to my attention many days after the event, as I had been on holiday in Scotland when the news of her death had broke. I had seen her picture on the front of a newspaper in Scotland and assumed it was something to do with her approaching 90th birthday. 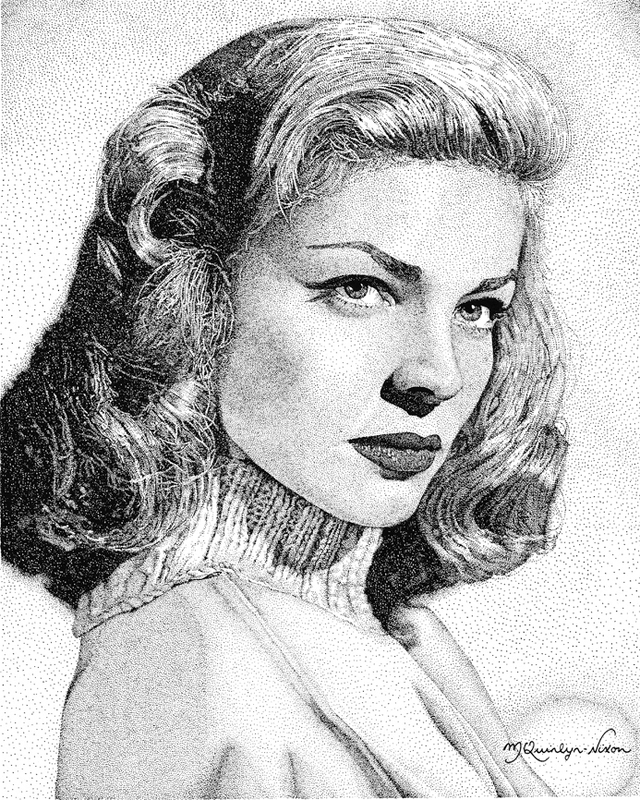 Lauren Bacall was another one of my favourite actresses and had been since I was a teenager. It was the sultry voice, the arch of her eyebrow and her panther-like way of moving that had attracted my attention. She had an amazing look of intelligence and sophistication, which was enhanced by the roles she played, often as a wisecracking woman of the world. Like Ingrid Bergman, as mentioned in my post last month, I remember Lauren Bacall’s starring role in Agatha Christie’s ‘Murder On the Orient Express’ (1974). She played the part of the garrulous Harriet Belinda Hubbard. She always amuses me in this role, as the gum-chewing, non-stop-talking former actress, who seemed to fluster Hercule Poirot with her incessant chatter and the mention of her multiple husbands! However, it will be ‘The Big Sleep’ (1946), that I will vividly remember her for – her beauty and sophistication were very prominent, in her role as Vivian Rutledge, in this film noir classic, which starred Humphrey Bogart. You don’t always win your battles, but it’s good to know you fought. This little teddy bear and myself have got something in common; we both deserve a well-earned rest. I’m having a day or two away from the drawing-board. Perhaps I’ll manage to tackle my jungle of a garden…(or not). 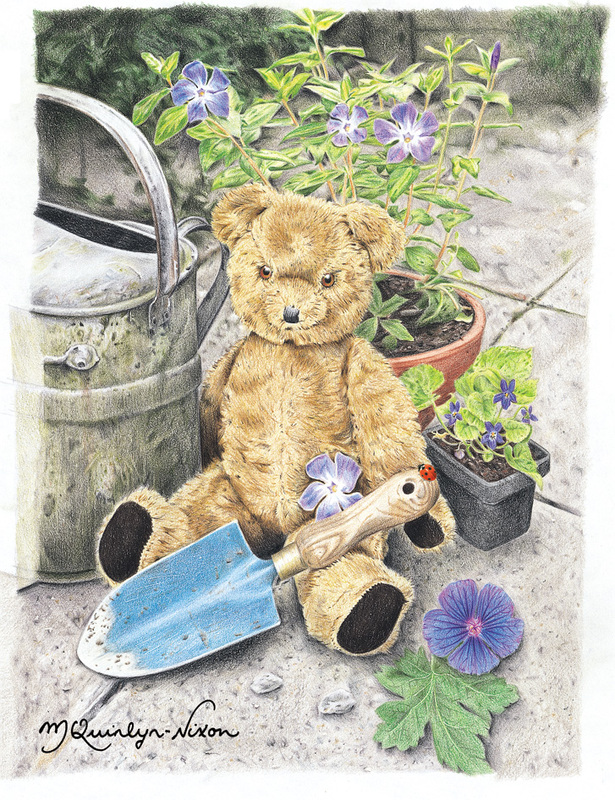 This was my first-ever teddy bear illustration, which was completed on 9th July 1999. I began working on it when my friend, Cherry, came to stay with me for a couple of days in the summer of that year. I didn’t know it then, but it was to be the first of over a hundred teddy bears that I would draw over the next fourteen-years. It was a special illustration in many ways, as it incorporated the first-ever teddy bear that I was given by my grandparents, Georgina and Henry Lake on my first-ever Christmas Day. The teddy bear, originally and rather unimaginatively, named ‘Ted’ has weathered the years well and still has a very faint growl when he’s turned upside down (which is rather a cruel thing to do to a teddy bear). My grandparents were keen gardeners, so I included some gardening tools and plants in the picture: a wild geranium, a periwinkle and a sweet violet. 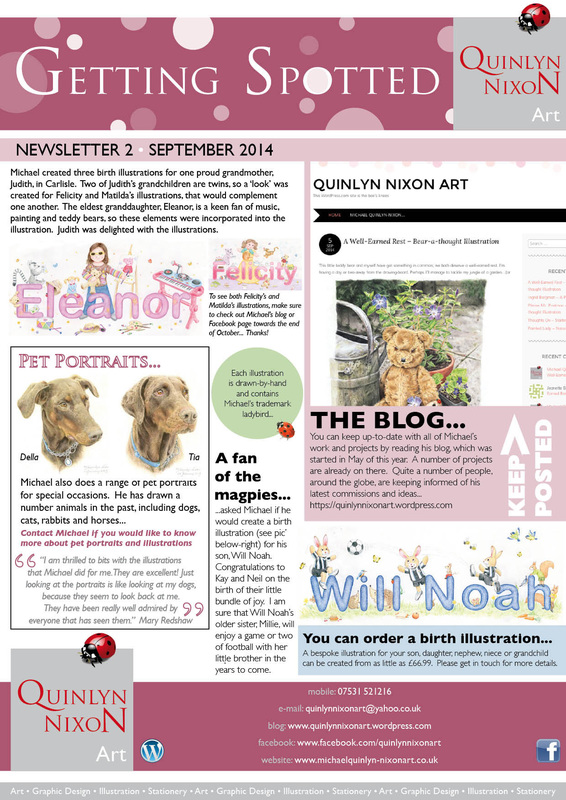 I can see masses of my Grandmother’s pink Japanese anemones flowering in my garden, as I write this post. 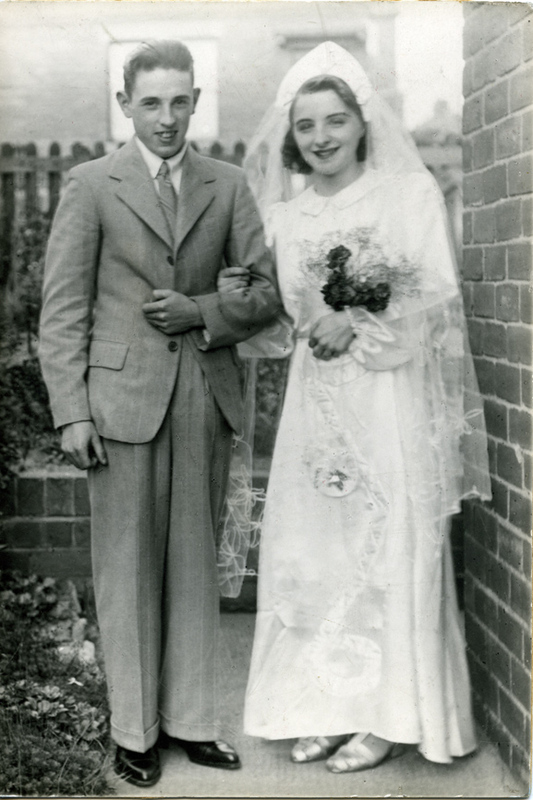 My grandparents, Henry and Georgina Lake in their wedding finery. They were married on 5 September 1942. This photograph was taken fourteen-days later, as gale-force winds had ruined the official wedding day photographs.